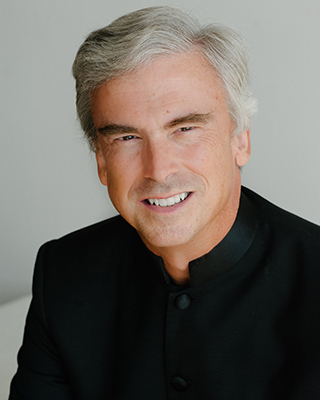 Guest conductor Jerry Junkin, director of bands and professor of conducting at the University of Texas, will appear with the Wind Ensemble Oct. 8 (photo courtesy Jerry Junkin). Special guest conductor Jerry Junkin will lead the ensemble in Carl Orff's "Carmina Burana," transcribed by John Krance. Junkin, director of bands and professor of conducting at the University of Texas, is recognized as one of the world’s most highly regarded wind conductors. He is music director and conductor of two professional ensembles: the Dallas Wind Symphony and the Hong Kong Wind Philharmonia. The concert also features three works by Steven Bryant, "Ecstatic Fanfare;" "Idyll;" and "Suite Dreams;" and Gustav Holst's "First Suite in E-Flat."